Collaborative Mural Painting by Hugh Bolton Jones and Francis Coates Jones. 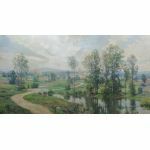 A native of Maryland, H. Bolton Jones rose to prominence as a landscape painter in the late nineteenth century. 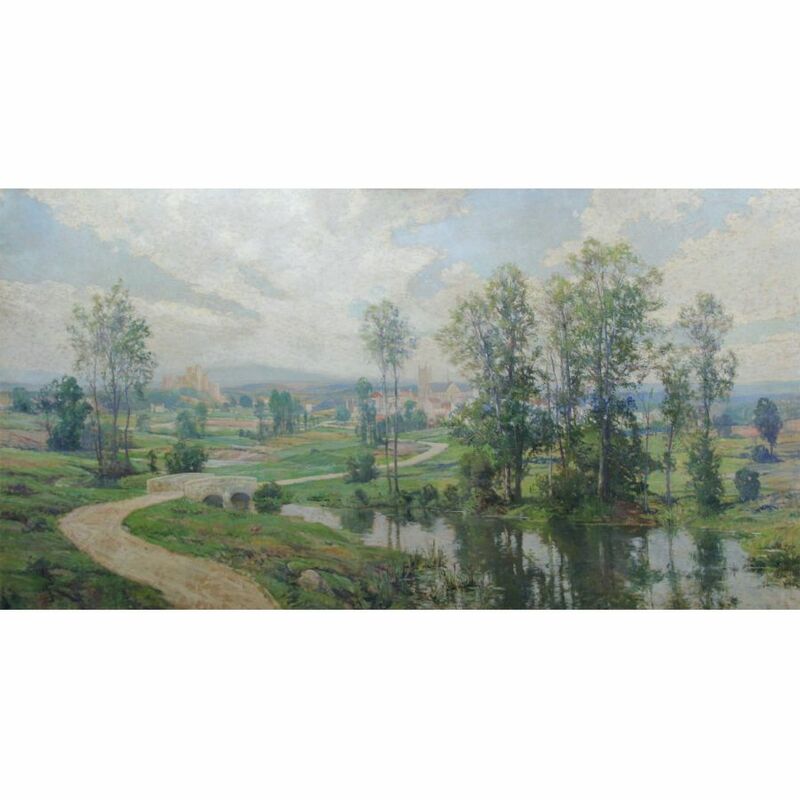 He was born in Baltimore in 1854, and began his career with study at the Maryland Institute [now the Maryland Institute College of Art]. He subsequently moved to New York City, where he was exposed to the work of many of the prominent Hudson River School painters. In 1865, he studied with Horace Wolcott Robbins, Jr., who had just returned from a year of travel with Frederic Edwin Church in Jamaica and the Caribbean. Two years later Jones had exhibited his paintings at the National Academy of Design. A painter of florals, figures and genre subjects, Francis Coates Jones was a noted easel and mural painter. Family wealth provided for basic needs during his lifetime, although he also made money from his artwork including illustrations for Scribner's and Century magazines. 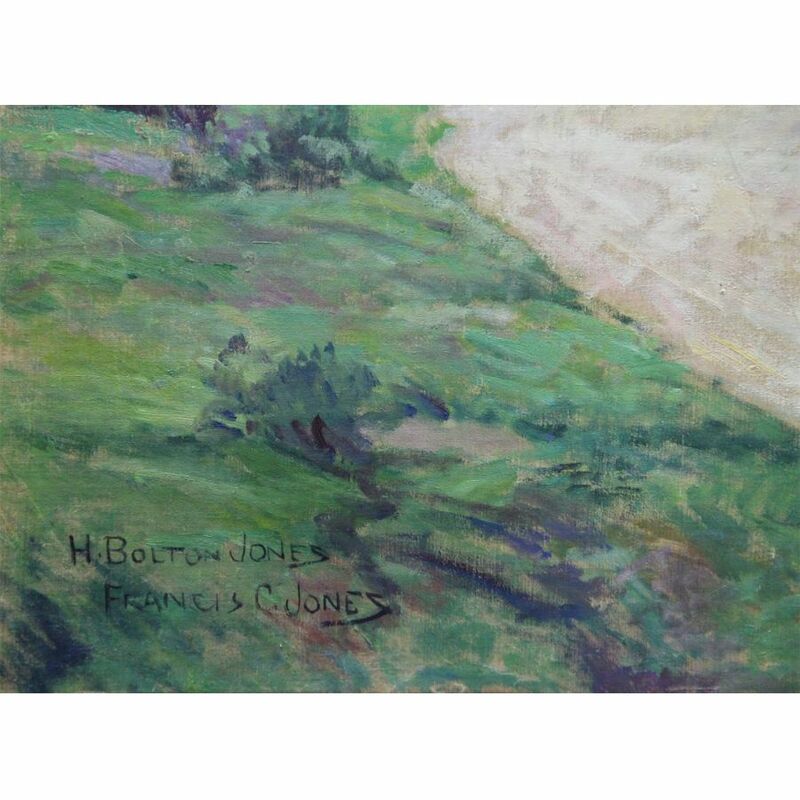 Francis Jones was born in Baltimore, Maryland in 1857, and was the younger brother of Hugh Bolton Jones, who also became a well-known painter and with whom he did some collaborative artwork. oil on canvas, 57.5" x 108"
Lower Right "H Bolton Jones" "Francis C Jones"